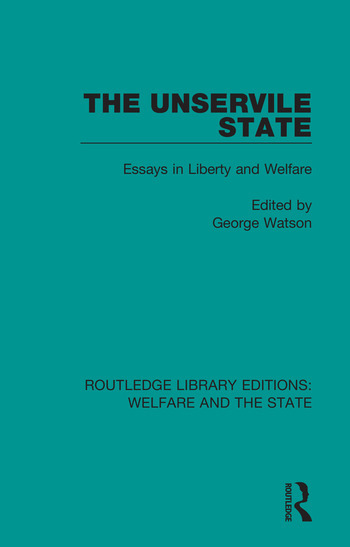 Originally published in 1957, The Unservile State looks at the theme of liberty in the Welfare State. Has it survived Welfare – is it even better for it? What of Parliament and our civil liberties? Does the present state of property distribution, of industry, agriculture and our social services satisfy the Liberal mind? And what would a liberal policy for foreign and Commonwealth affairs be like? These are some of the questions which this book sets out to answer. It is the first full scale study of the attitudes and policies of contemporary British Liberalism. George Grimes Watson was a scholar, literary critic, historian, a fellow of St John's College and professor of English at Cambridge University.